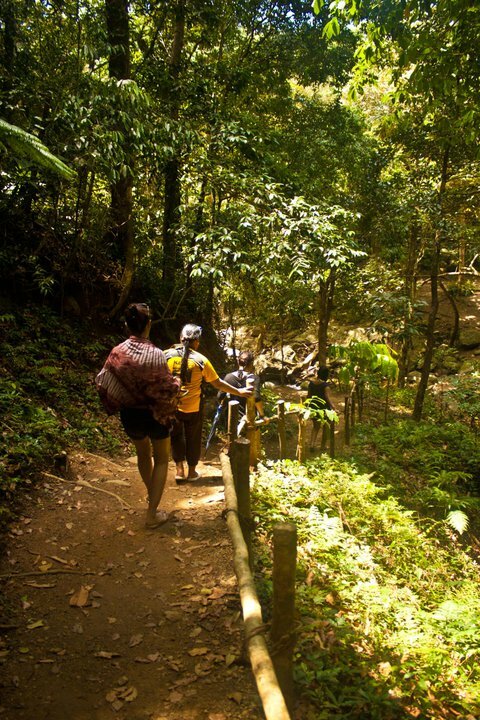 Kabigan Falls is located in Pagudpud, Ilocos Norte. I'm not sure how far it was as we took the tourcycle where we rented a tricycle to take us around. By the time we got to the registration area, the sun was all smiles. 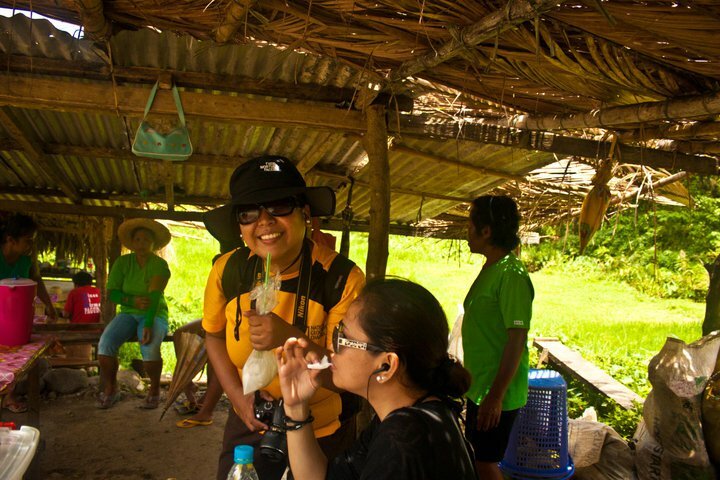 We had to hydrate ourselves with fresh buko juice and cold water before the trek. 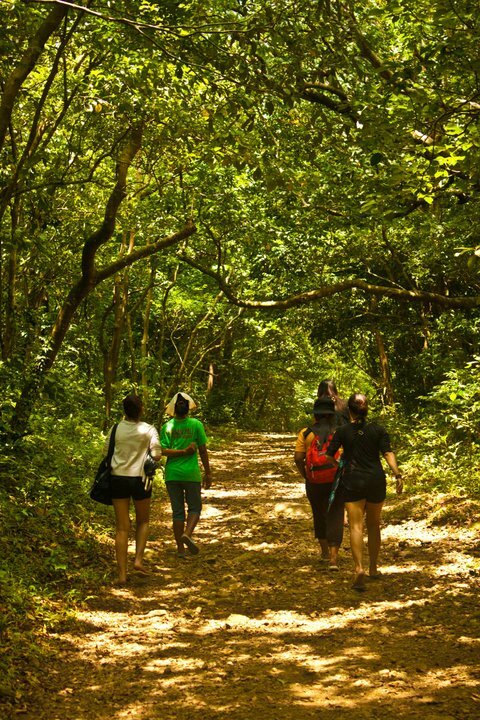 For an entrance fee of 20 pesos and 100 pesos for a tour guide, we started our 1.5km , 30minutes trek. They also let you borrow umbrellas for free. It was an easy trek where you'll pass by flat areas, hills going up and down. 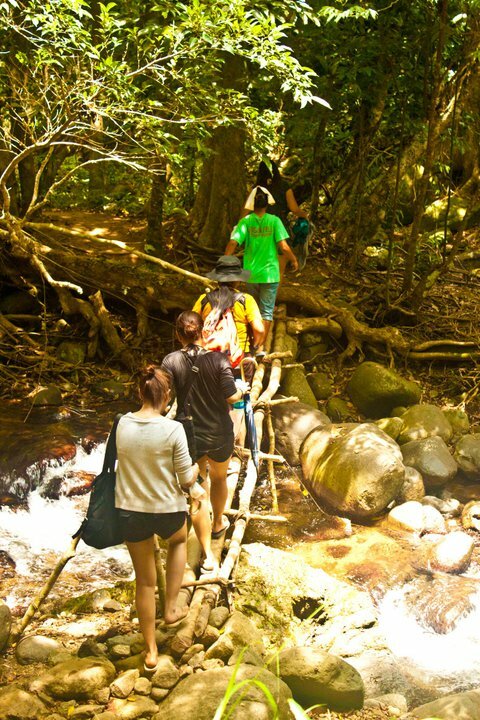 The locals made it easier as they formed steps and built bridges so you won't have to go on the rocks over the streams. As a tourist, you interview the guide. This is the first time I've met a female guide. She is like the other guides I've talked to who works really hard under the sun, farming, harvesting and on the side, would tour guide. I'm a sucker on this kind of stories. I know they are real. So I gave an extra tip after. We were so excited to get to the falls because it was hot and humid. You have to be careful while trekking because you'll pass by giant ants which they call "hantik" and the locals actually eat them. Good thing we were not invited to do this. When we saw the falls, we got excited. It was approximately 87ft with a concave basin. Your jaw won't really drop but it is always fun to see waterfalls. I've seen a nicer one. We dressed up right there with the use of our sarongs not caring about the many tourists around. Did not take too much photos as they all look the same. We wanted to feel the fresh water on our sticky skins right away. 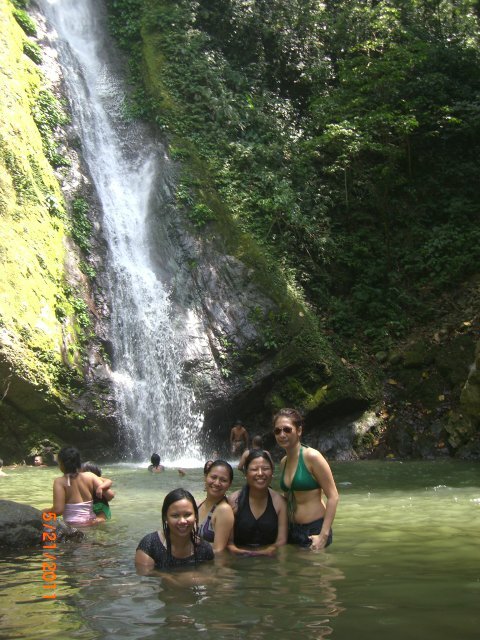 This was also my first time to swim on the falls. It wasn't as deep like the others but it was cold. I had fun. 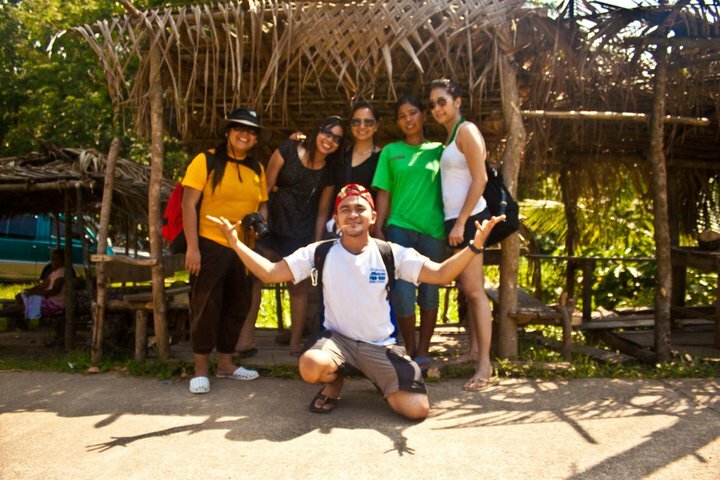 We had to stop and give way to a carabao and a kid...one way! We took a dip on the cold but refreshing water. It was easier going back. We had lunch near the registration area where we had a simple meal of Papaitan, Adobo, Dinuguan and rice that was half cook. Too hungry to complain but we did tell Ate so she can correct it. Though there's a little hut that cooks food for you. They prepare it while you trek. It costs 800 pesos. A little pricey. So we went for the carinderia style. My cousin and I just visited Kabigan this past weekend. We got the same guide! She looks exactly the same. We preferred not to pass by the bridges whenever possible, because the water was very refreshing. It kept us going during our trek to the falls and back. The rocks aren't too slippery, and the current isn't that strong along the trail anyway.